This species is adapted to They live in caves, rock crevices and deserted buildings. Their flight is slow and flapping. 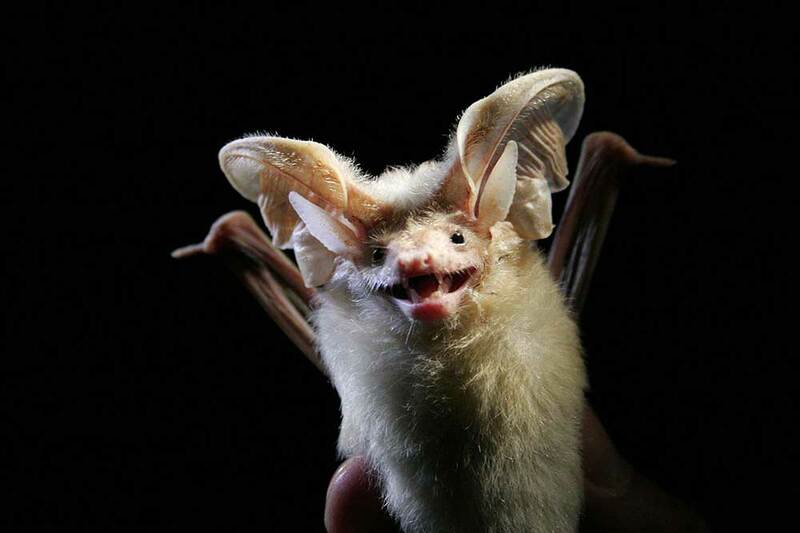 These bats feed on insects (particularly crickets and grasshoppers) and arachnids such as camel spiders, scorpions and spiders. They hunt by flying very low over the ground, and land briefly to capture prey on the ground. The prey is then eaten on the wing, while the bat circles with a slow, gliding flight. Although they are frequently stung by scorpions, it appears they are immune to the venom. Only one young is born at a time after a four months gestation. The young is weaned at the age of 5-6 months. This is a heavily-built bat. Their pale colour gives them a ghost-like appearance. The very long ears are conspicuous and the muzzle is somewhat dog-like, lacking a nose leaf. About 4-5 mm of tail project from the membrane.